Gord, Rebecca and I looked at the pic without reading above it and knew right away. I did a search at the Archives of Ontario database to see if I could match any of the pics you posted. Did not find any matching pics, but did find "Vintage Pic 011" in colour as posted. Since you have the B&W version, I guess I did find one of your pics. This image may have originated as B&W and was then colourized for use in colour photographic advertisements. Hey John, guess the years haven't treated me too bad after all then. Thanks for checking the pics out Jerry. I really don't have a clue where many of mine came from. I have handled thousands of images in my volunteer work where everything is under reasonably rigid control. Not all of my own are under the same degree of control. You may be right about 011 being colourized in your copy. The original copy I have is an RGB file but displays as B&W. thorah guy pretty sure someone gave you that fish...lol..you dont look like you were fishin you look like you were out there with a young lady..anglers dont wear there sunday best when fishing..lol..the fish was a cover up ..great photo tho..
Avengere, didn't you see my rod leaning against the car? FISHING ROD that is! And Sunday best? Only a Newfie would say that. FYI, the car is a 1957 Series 2 Wolsey 6/90, rather rare to say the least. I should have kept it, might have been worth real money today but who was to know. 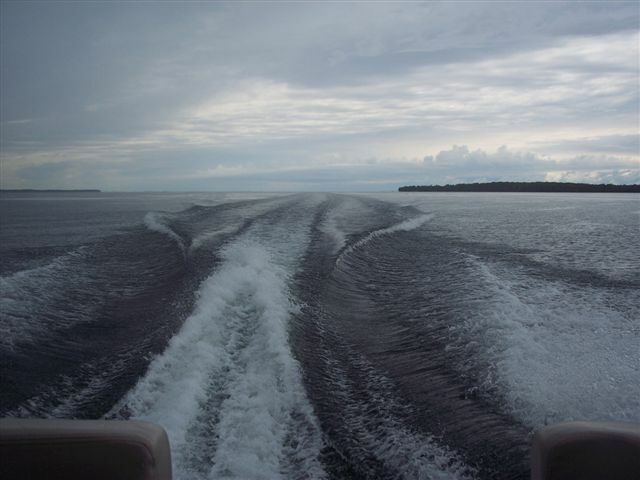 lol the rod was a prop.jk.great photos ,think i spotted bayliner in one of them..lol..kiddin aside learned alot about lake simcoe just by looking at your pics.. This is my father in law, Tom Pink. Picture was taken about 1950. In the 1950’s and 1960’s we used to catch dinner, a mix of Bass and Perch, in an hour or less. We used the heavy black line of the day with a single hook and a piece of worm, no rod or reel, just hand held. From experience we knew where to go based on time of the year, time of day and the weather. All those spots were within easy rowing distance. We never caught anything big but usually came home with enough to eat. None of those spots are very productive today. I wonder what he would have thought about all the hi-tech stuff used today? great pic ..yeah back east fishin for cod there was no rods and reels it was mono 1/6 of an inch in diameter and a big ole jigger with a little red on it.drop it to the bottom and bring it up a few feet and wrap the line around your hand and start jigging..many blisters pulling up cod..with me and my dad our best day jigging was 3500 lbs of cod...early sept on the labrador coast...them days was good days.. Some would say life was tougher then. Maybe so, but it was simpler and somehow I think we were happier. you are right on.i think life over all was better in many ways.. I noticed the STANDARD GASOLINE crate in Vintage Pic005. This may give a clue to it's era. The following sign with similar logo is dated 1930-1946. Gord, nice pic of your father in law and interesting fishing technique. I guess he would think we are crazy with our bassboats, side-imaging sonar, underwater cameras, electric trolling motors, high tech fishing rods, etc. etc. Most of this "fishing equipment" is designed to catch fishermen, not fish. But i have to say, ice fishing without my x67c just isn't the same.